As an employer, how do you protect yourself from employee claims? Read on to learn more about EPL insurance and it's importance to your business. According to the Equal Employment Opportunity Commission (EEOC) 2017 data, retaliation is the most common discrimination charge in most workplaces. Other charges that the agency noted included race, disability, sexual harassment, and age. For many US employers, employment practices claims and charges can be quite inconveniencing. The good thing is, with EPL insurance, you can easily protect your company from such lawsuits. But what exactly is employment practices liability (EPL) insurance and why is it crucial today? Keep on reading this post to learn more. In any company, the management team makes decisions that affect all or some employees. 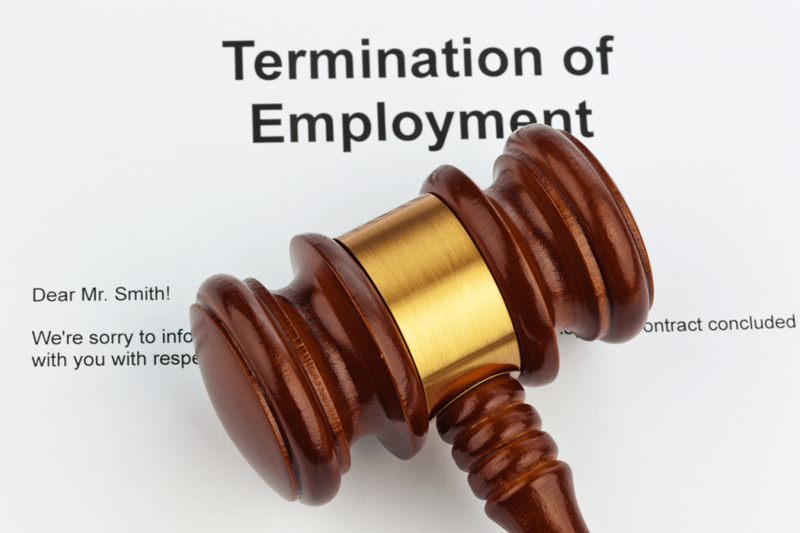 These decisions can include firing, disciplining or deciding not to promote an employee. To the management, these decisions may seem fair. Unfortunately, that's not how some of your employees will perceive the situation. Instead, they may see it as workplace discrimination. This will likely result in a lawsuit, which can easily attract hundreds or even thousands of dollars in fines. Luckily, with EPL insurance, you can stand a chance of protecting yourself. Basically, EPL policy provides employers coverage against employment-related lawsuits such as wrongful termination, sexual harassment, discrimination and breach of contract. In 2017, the average total cost of employment-related claims was $160,000. This means, without insurance, you'll be forced to pay this amount out-of-pocket. Do You Need EPL Coverage? Many small- to medium-size business tend to overlook the importance of having EPL cover. Some of them tend to believe that it's unlikely for their employees to sue them. Unfortunately, that's not the case. Whether you're a small or large enterprise, EPL insurance is increasingly becoming important, going by the numbers the EEOC records every year. Keep in mind that employment-related risks start the moment when an employee walks to your office. For example, during interviews, there are states that prohibit employers from asking questions about a candidate's criminal history. As such, the size of your business shouldn't determine your need for EPL coverage. The policy covers that results from settlements, judgments, interests, defense expenses, and damages. Also, it covers your company, current and former directors, and current and former employees, including independent contractors and volunteers. Bear in mind that insurance companies have different policy requirements. Be sure to ask your provider about the specifics of the package you pick. When shopping around for your plan, you need to know that insurance companies provide coverage on a claims-made and reported basis. This means that the insurer will only cover the claim when the incident and all the related claims occur while the policy is active. The coverage is usually limited between $1 million and $25 million. You can choose the coverage you want. Judgments, settlements and legal defense costs are usually included in aggregate limits in your policy. You also need to know that some policies have limits on immigration-related cases. Some providers will want to pick a lawyer to represent your company when claims are filed. The insurer selects lawyers depending on their relevant experience on the type of claim filed. They do this because legal fees make up the large portion of the EPL insurance benefits. If you want to work with your own lawyer, ensure that your selected plan allows you to do so. Some plans can also be amended to allow that. This business insurance provides protection against paying a claim or employee lawsuits. As such, the coverage helps to ensure your business is not negatively impacted. Lawsuits can waste your time, resources and money. Proper insurance policy means that you'll not have to pay out-of-pocket when employees file lawsuits. Of course, you can easily settle most claims. However, things can turn nasty when the suit goes to trial. In a trial, employees usually have 70 percent chances of winning the case. You EPL plan will cover your company. Keep in mind that business owners and general liability insurance plans do not offer liability for employee lawsuits. In addition to your EPL coverage, some insurers offer free loss prevention services to help your business avoid future problems. As an employee, today's employment environment can be quite intimidating to navigate. Regular changes in employment law mean new statutes and definitions. This means more rights for employees, and employers can be charged when in violation. This is where EPL insurance comes in handy. No matter your business size or the number of employees you have, your policy protects you from all forms of employment-related lawsuits. The policy covers all suits filed by both part-time and full-time employees. For more information on EPL coverage, please reach out to us contact us today.